A team of scientists that includes Northern Illinois University researchers has successfully drilled through the overlying Antarctic ice sheet and sampled directly the waters and sediments of Subglacial Lake Whillans. The effort is making headlines today: It marks the first successful retrieval of clean whole samples from an Antarctic subglacial lake, according to a statement released by the research project. Reaching the subglacial lake required more than a decade of international and national planning, three and a half years of project preparation and an intense week of on-ice weather delays. The National Science Foundation-supported project is known as WISSARD, for Whillans Ice Stream Subglacial Access Research Drilling. The WISSARD project posted a detailed statement today, announcing that researchers had penetrated the lake. The scientists, still in the deep field at the remote drill site, were not yet available for comment. According to the statement, water and sediment samples returned to the surface are now being processed to answer seminal questions related to the structure and function of subglacial microbial life, climate history and contemporary ice sheet dynamics. Video surveys of the lake floor and in-situ measurements of selected physical and chemical properties of the waters and sediments will further allow the team to characterize the lake and its environs. The interdisciplinary team of WISSARD scientists represents a consortium of U.S. universities and two collaborating international institutions. and NIU alumnus Slawek Tulaczyk, a professor at the University of California, Santa Cruz, and an expert a glacial hydrology. 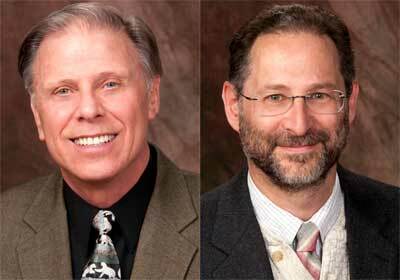 Additional NIU members of the research team include Board of Trustees Professor Reed Scherer; doctoral student Timothy Hodson; undergraduate geology major Brian Guthrie; computer science research associate John Winans; and adjunct professor Betty Trummel, a Crystal Lake elementary school teacher and education outreach specialist. 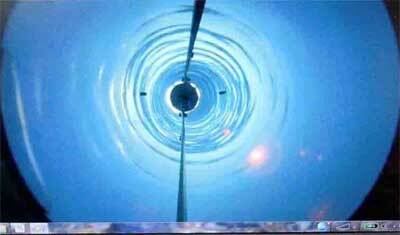 Access to the lake required drilling through 800 meters of ice using a specialized hot-water drill. The drill was fitted with a filtration and germicidal UV system to prevent contamination of the subglacial environment and to recover clean samples for microbial analyses. In addition, the numerous customized scientific samplers and instruments used for this project were also carefully cleaned before being lowered into the borehole through the ice and into the lake. Such cleaning was necessary to avoid disturbing the isolated environment, while at the same time protecting the integrity of the precious samples recovered. According to the WISSARD statement, the groundbreaking exploration of Antarctica’s subglacial environment marks the beginning of a new era in polar science, opening the window for future interdisciplinary scientific investigations of one of Earth’s last unexplored frontiers. Thanks in large part to the education and outreach components of WISSARD, the project has been followed closely by people across the globe.